Chicago - Police in the United States killed at least 1,152 people in the United States this year through Dec. 15, with the 60 largest police departments disproportionately killing black people, according to data compiled by activists who run the Mapping Police Violence project. The group said most police departments did not provide numbers on officer-involved fatalities, so its data comes from three crowdsourced databases: FatalEncounters.org, the U.S. Police Shootings Database and KilledbyPolice.net as well as research through media, social media, obituaries, police reports and other sources. Forty percent of people killed by police in the country’s 60 biggest police departments were black, while the African-American population in those jurisdictions was 20 percent, the report said. 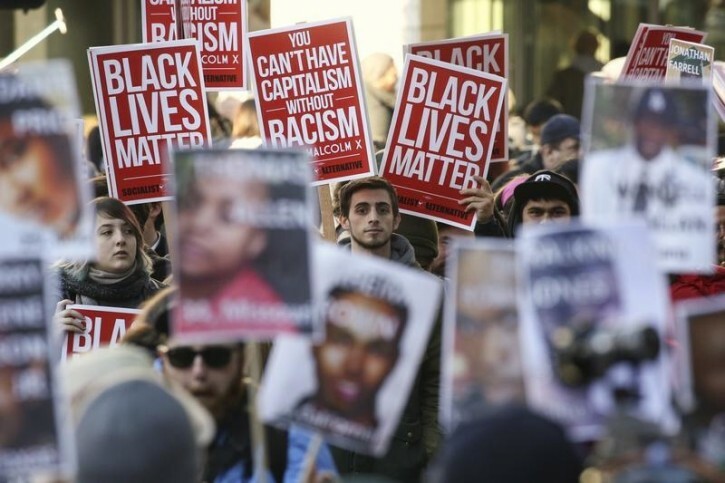 The group, formed by data scientist Samuel Sinyangwe and activists Johnetta Elzie and DeRay Mckesson, said the 2015 figure compares with 1,172 last year and 1,140 in 2013. The group says it believes its database reflects 90-98 percent of police killings since 2013. The project compiles data on all fatal uses of force by the police, including gunshot, asphyxiation, vehicles and Tasers. It includes unintentional killings such as people who died of a medical emergency while being arrested or restrained, and off-duty incidents. Police killings, especially of black people, have sparked protests in a number of U.S. cities over the last year and a half. Although such killings are not new - for example New York police shot killed more than 40 people a year in the 1970s and now shoot and kill about 12 a year - widespread use of phones to record video as well as police bodycams and dashboard cameras have renewed focus on use of lethal force. Videotapes have raised questions about officers’ justifications of shootings, such as saying the suspect had pointed a weapon at them or advanced on them. The report said the police departments with the highest rates of police killings per capita were those of Bakersfield, California; Oklahoma City, Oklahoma; Oakland, California; Long Beach, California; New Orleans, and San Francisco. Also included in this group were the Indianapolis Metropolitan Police Department and St. Louis Metropolitan Police Department. The report also said charges against police officers who do use deadly force are very rare and that police use of lethal force is not correlated to violent crime rates. The study also said 33 percent of black people killed by police were unarmed, compared with 18 percent of white victims. sounds like a lot, but maybe the American public is just getting more and more violent? Reading the news on a daily basis it seems to me that it is the Americans themselves are just getting crazier and crazier each day and are into more and more killing and violent crimes. How about this statistic? 90% of blacks are killed by other blacks. Obama's army. Remind anyone of another leader who used hoodlums to create an army? We knew what that tyrannical dictator did. What would loveable Obama do if he was able? He's drunk On power. Scary thought. Stupid , useless study. Its like saying that 70% of shoppingis done by women. Obviously blacks find themselves in confrontations with police more than whites. Do they say how many were engaged in criminal activity and how many had police records? Of course a high percentage were Black because there is a higher percentage of crime committed by Blacks, frequently victimizing other Blacks. Of course there are some innocents shot, but I don't think cops in America just go around shooting people. "The article didn't tell us how many deserved it"
The Atlanta Journal-Constitution reports today that about half the people killed by Georgia policemen in the last five years were either unarmed or shot in the back. My default assumption - all of them. Let's ignore the greater problem and focus a smaller one. This is just Chicago alone. One City. How many of them were black? But let's change the subject and talk about police brutality.